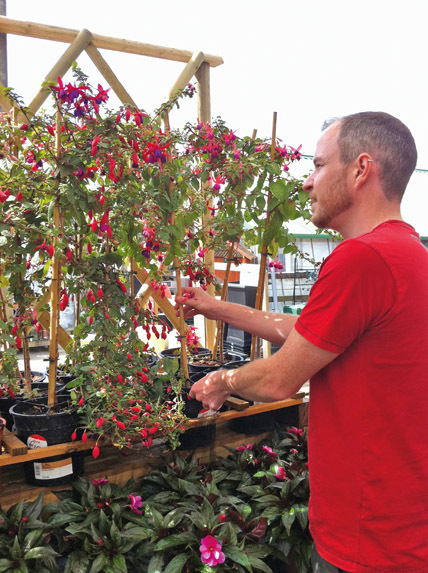 1) Take a non-flowering tip with two or three leaf sets. 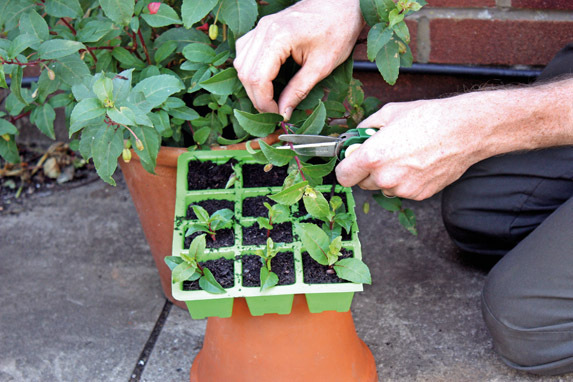 Cut just below a pair of leaves, remove the lower leaf set and insert into compost. Place in a propagator or cover with polythene until rooted. 2) As the cuttings develop, start to remove sideshoots as they appear. 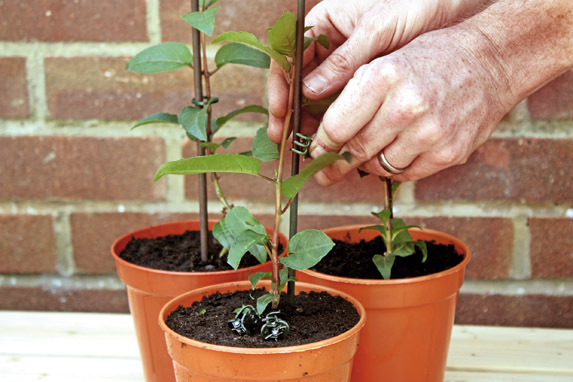 Do this regularly, but keep the leaves growing directly from the stem in place to feed and thicken stems over winter. 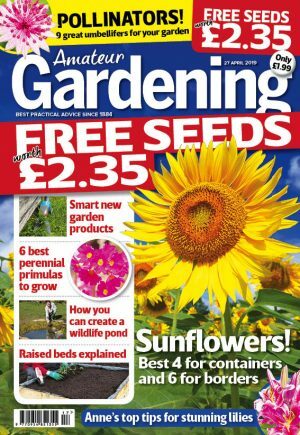 3) As roots fill out, pot on into 5in (13cm) pots of multipurpose compost and keep moist. 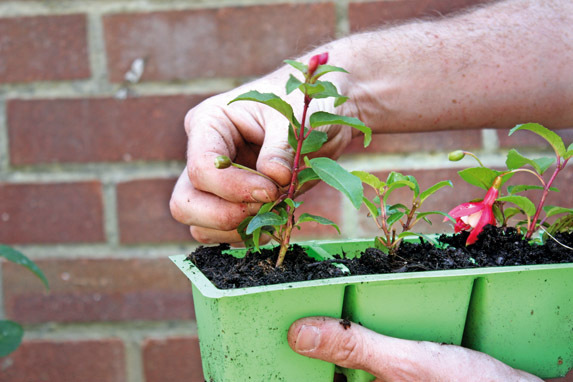 Add a sturdy support to the pot, and tie in or clip the fuchsia at regular intervals to keep it growing straight.